Johnny Cash was a Christian not a Communist. He Loved this Country not hated it. He loved the military, not hated it, he loved free market capitalism because it offered more choices including his music, he loved his family and the sanctity of marriage, he was compassionate and believed charity starts at home and not from the state, he believed in individual responsibility not group think. He was a true American. Was Johnny Cash a Republican or a Democrat? We will never know… he sang about the downtrodden and love and God, with diverse themes and lyrics that range from Gospel music to independence, prison life, murder, patriotism and Native American rights. He has frequently spoken out against injustice and the need to protect fundamental rights. Many in the world hate Glenn Beck. Maybe you’re one of them. He’s been called – a right wing extremist, a hater, a liar, a bigot, a buffoon, dangerous, an Anti-Semite, and most improbably and contradictory – a Jew-Lover. This character assassination comes from many sources, regrettably often from good people who are well meaning and want to warn others not to be taken in by him. Unfortunately most often their negative opinions of him are based, not upon having watched and listened to full-length broadcasts of his, but upon what they’ve heard others say about him and what he supposedly stands for. Assassinating another’s character and slandering them publically is one of the most grievous offenses one can commit against another according to Jewish scripture. Public humiliation – the act of destroying their good name, means you have killed their reputation in the eyes of others and it’s one of the most difficult offenses to overcome. He certainly does inspire passion from all sides. Unfortunately what passes for journalism today is not ‘just the facts.’ That went out decades ago and most journalists admit they want to promote an agenda and see that as their job. Good people without a lot of time to do their own research believe the opinion pieces without realizing that the writers today have a strong bias or agenda they are promoting. 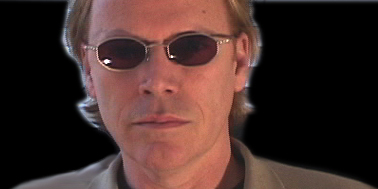 Mr. Beck often says, “The truth has no agenda.” He encourages his listeners to “question with boldness” and to “do your own research” not believing what anyone says, even him unless you’ve checked it out from first level sources…not what someone says about another, but what that person actually said or wrote himself. My husband and I traveled to Jerusalem to take part in Glenn Beck’s – “Restoring Courage” event. I felt compelled to support this non-Jewish man who was standing up and standing by Israel and Jews in this dangerous and perilous time. During the time we were there from August 18th to August 28th, there were three major suicide-bombing attacks against Israeli civilians and military from different points around the country. Areas that had never been targets were now on the hit list for terror. The Arab Spring and its promise of “democracy” had brought instead chaos, agitation, and the rise of Muslim Brotherhood agitators, Hamas/Fatah partnerships, and awakening of Al Qaeda affiliates. Israel is under siege once more and the stakes are very serious. What would have happened if Christians supported the Jews during WWII? The burning impetus for being there was to experience and take part in a miracle – a new phenomenon in world history – the Christian love and support for Jews and for Israel. Finally at this crucial time in our history, we are not alone. As someone who grew up experiencing many incidents of painful Anti-Semitism directed against me for no reason other than my having been born Jewish, I am awed by the love and support of our Christian brothers and sisters at this important time in history. I keep thinking to myself what a different world it would have been had we had this kind of love and support, during the Holocaust and in my childhood when I felt the sting of persecution for being a Jewish minority in a hostile, Christian land. I’ve become active by supporting and attending events presented by various Christian organizations who not only love Israel and the Jewish people, but who do everything in their ability to show that love and support through charitable contributions, rally’s, books in support of Israel, pamphlets, educational seminars and events for which they risk everything to do the right thing…often making them targets for attack themselves. I’ve heard Reverend John Hagee many times as he preached to thousands about the duty of Christians to love and support Israel. I’ve also seen countless Glenn Beck shows where he laid out the danger the Arab Spring would bring to Israel and why the western world must support her now in her hour of need. When I tell others about the love and support many Christian movements today have for Israel I often am confronted with suspicion or cynicism. And of course, I understand why there would be mistrust, based upon centuries of Christian persecution of the Jewish people. That’s why this new kind of Christianity, called ‘Dispensationalism’ is such a miracle and something that all Jews should thank God for and wholeheartedly embrace. John Nelson Darby, a 19th century British evangelist who is the forerunner of modern Christianity, popularized it. This new kind of Christianity supersedes “Replacement” theology in which Christianity was said to have replaced Judaism and for that reason, there was no longer any need for Jews except those who would convert to Christianity. Unlike the bigoted Christianity that our parent’s generation faced, this brand of Christianity loves the Jewish people and quotes bible verses where God commands them to do so. They also are thankful for the Jews who gave them Jesus, Joseph, Mary, the Apostles, the patriarchs, the bible, the ten commandments, etc…In other words, without Judaism, there would be no Christianity. This is not to say that all Christians today follow this kind of theology but the numbers who do is extremely large and growing. Glenn Beck is a very complex, intelligent, compassionate and courageous man. In many ways, he’s been a kind of prophet by accurately predicting world events years before they occur and warning his viewers of what is coming and to be prepared for what will be happening in the world and to all of us. He would (and has) rejected the notion that he is any kind of prophet and would probably not appreciate my seeing him that way, but I truly feel he is a man of God that was placed on earth just at this time, to help show all of us the way to save ourselves. He believes that Israel is the cornerstone for Western Civilization and believes that, if Israel were to fall, the Western countries would be close behind, including America. In promoting his “Restoring Courage” event, he often spoke about the courageous reverend, Dietrich Bonhoeffer whose life greatly impacted Glenn’s own. Bonhoeffer was hunted down and tortured by the Nazi’s for speaking out against their evil. Even when they imprisoned him and tortured him and prohibited him from writing and getting the word out, he didn’t stop and found ways to sneak his words out of the prisons in an attempt to rally support for fighting against the evil of Nazism. He was executed by hanging by the Nazis when he was only in his early 30’s, right before the end of the war. This courageous man who stands with Israel and the Jewish people has been an inspiration throughout the world. In a Gallup Poll last year, Americans said they admired Glenn Beck more than the Pope; more than Billy Graham, or Bill Gates, Bill Clinton and George H.W. Bush – and he came in a close second to Nelson Mandella. So it’s pretty obvious he didn’t do this for fame. It also took a lot of his own money to make this happen. One article said he was around $1million in the hole in order to put on these events (after the three events in Israel, he took the show to South Africa – to show that Israel is NOT and never has been an Apartheid state…to South America, with the same message – the necessity of standing for good over evil – supporting Israel and he’ll finish up with a huge rally in Texas.) He didn’t do this for fortune. He did it because it’s the right thing to do and he has the clout and recognition to bring attention to this issue. He is highly principled and as a recovering Alcoholic, follows the steps laid out as part of that recovery – and he obviously takes them seriously. So did he achieve his goals of imparting the importance for each of us to do the right thing and to stand up for good over evil no matter the price? I know for myself and for thousands of others, he certainly did. For several years I’ve listened to President Barack Obama and marveled at his telepromter skills. However, as much as he reminds us how American he is his actions scare the hell out of me. One of his questionable actions that give me pause is his support for the ouster of Middle-East dictators, Mubarak, Qaddafi and Assad. Obama’s in-house media at NBC, CBS, ABC, MSNBC, etc. extol the success of the democratic revolutions in Egypt, Libya and Syria and call it the “Arab Spring.” They write those headlines with absolutely no critique of what those revolutionaries will do with the freedom they’ve earned. We have let the mainstream media promote Castro in Cuba and Ayatollah Khomeini in Iran both to our everlasting regret. Is it happening again? Even a casual understanding of the Middle East would have led the media to warn us about the repeat of the mistake Jimmy Carter made handing over Iran to the Mullahs of Islam. Early indications are that the Muslim Brotherhood is orchestrating the same type of takeover in those three countries and I believe Barack Obama has been helping them in their efforts. Unfortunately “freedom” in the Muslim world is a world governed by Sharia law. No one knows that better than Barack Obama who learned his Sharia lessons as a young Muslim in Islamic schools in Indonesia. Essentially there is no freedom in Islam as the Koran and other religious texts prescribe a followers every move. It is not a leap of fear I make in believing that our President has been assisting Islam in affecting the overthrow of anti-Islamic dictators to make way for the rule of the Mullahs. His bowing to the King of Saudi Arabia, his speech in Egypt, his anti-Christian and anti-Israel policies, his cleverly disguised ignoring of “political” Islam and his endorsement that Islam is only a religion and literally hundreds of other pro-Islamic moves leads me to believe he is Islam’s Manchurian candidate. It is not beyond belief that young Barack upon learning that Mohammed was a “perfect person” patterned his life after him. – patterned it to ravage the Western world as Mohammed prescribed but with the belief that any heinous act justified the building of an Islamic caliphate. His “perfect person” indiscriminately killed his opponents and raped the wives of his supporters. Neither Mohammed nor his Sharia bears any resemblance to freedom with honor as known in the Western world. The fact that Obama is a “stealth” version of the “perfect person” only convinces me of his Manchurian status. My heart hopes I’m wrong about our President but my head tells me otherwise. Charlie Rangel was invited on the Factor to respond to Allen West’s analogy he made the night before about the overseers of the 21st Century Plantation that the Liberals have created for African Americans. Because he couldn’t, or wouldn’t, answer Laura Ingraham’s original question (rephrased over and over) asking how Black Americans have fared under Obama and his policies, Charlie Rangel deflected, protested and squirmed in the sparring, until he reluctantly said, “No”, things haven’t improved for blacks, the inner city and minorities. ” Unbelievable!!! Before I start I would like to reflect on what an historical moment November 4th was… one that will live forever. The first American President from African descent fired the imagination and inspiration of millions all over the world. Our country is now in his hands to either govern in the center by using free market capitalism and continue this great experiment in Republican Government or try and prove Marx and Engle right and in doing so, like all other experiments in socialism before him, destroy the best economic system free men have ever developed? Another question to ask about the chosen one: Do we give him a chance to succeed or do we stick it to him right out of the Box? Was his election a mandate on banning off shore drilling? Was his election a mandate on bankrupting the coal industry? Was his election a mandate on sharing my wealth? In these times of economic stress who should suffer; the government, in the form of spending cuts, or the people by raising taxes? In addition I would like a discussion about the institutions and values that propelled him to victory, i.e., the media, economy, freedom of choice and equality. 1. Do you think he would have won the election if it were not for the complete capitulation of the media? (other than Fox News) In other words did the Main Stream Media lose their Left Wing ideological credibility by not giving both sides the same objective leg tingling coverage? Or did the MSM become cheerleaders to a person that can finally win a landslide victory against the mighty Republican political machine? 3. Do you think that when the economy is doing great under a Republican Administration the MSM does its best to talk it down — to try and diminish it to give a leg-up for their anti-freemarket socialist ideology? For instance according to the MSM we have been in a recession for two years, where in fact, technically we are not in a recession and we have just had the greatest period of wealth creation in the history of the planet. Our GDP grew from $9 trillion at the end of the year 2000 to $14 trillion by the end of 2008. All thanks to George W. Bush and his super bad cronies. Equality and Choice are big Left Wing values always swaying in the righteous wind. Government cannot force equalization of talent, feelings, education and therefore wealth. By doing so makes the poor lazy and the successful disinclined. So what inspires innovation under a socialist system? The simple answer is idealism. This is the energy of youth and is shaped and focused by educational institutions. Graduates from Left Wing Indoctrination Universities come out ready to make a killing and are picked up and exploited by big business. This idealism is a great motivator until competition kicks in and the only reward you get for your brilliance is the expectation of brilliance and disappointment for anything less and to watch those younger and prettier get the only meaningful compensation that you once had; attention from their elder elitist party member bosses with their corner offices and apartments. In a Free-Market system the cream of the crop rises to the top and continues the success of the business — expanding markets, creating jobs and producing the ultimate American value; success. In a socialist system competition and choice is denied and oppressed which stymies innovation and expansion. This is the legacy of misdirected and dishonorable greed disguised as altruism. Achieving great personal success for yourself first then your family and your community is the greatest form of altruism. Charity starts at home! It is time for Republicans to be reflective and to clean house. The ex RNC Chairman Ken Mehlman recognized this after the 2006 debacle and stepped down. Yet the status quo was somehow maintained. This would have never happened in a corporate structure. There is no democracy in a Political Party structure; it is and should be structured like a business but when failure occurs as in the case of 2006 and 2008 either the Party should dissolve itself or management should be fired. That means those that failed in 2006 and did not step aside, dishonored the Republican Party and the values and principles it stands on. I personally witnessed the idealized youth taking key roles in the RNC making choice not for the cause but primarily for their resumes. For instance regional headquarter leaders choosing not to promote phone banking at home because the headquarters where they lead are competing with each other to see how many phone calls come from their staff. In other words it was their personal objectives not what was best for the cause. They never realized the pent up energy of all the Republicans that wanted so desperately to help win this election but were confined to schedules and responsibilities of work, faith and families. But it is also important to understand that everything happens in generational cycles. Our economy, our culture and our psychology. Blatant critique and/or statements of facts can be like a sward cutting through the thick fabric of denial. To the child it can sound punishing, to an adult it can sound condescending and to a teacher it is downright emasculating… but sometimes it needs to be stated not diplomatically but directly. In the end, it will be the owners and editors of the MSM that will pick our leaders, shape our opinion and rule the world. Was this election a mandate on banning off shore drilling? Was this election a mandate on bankrupting the coal industry? Was this election a mandate on shearing my wealth? In the times of economic stress who should suffer the government in the form of cutting spending or the people by raising taxes. I would be remiss if I did not mention the complete and utter incompetence of the RNC leadership starting with the kowtowing and capitulation to the Main Stream Media (MSM). A case in point; who at the RNC allowed CNN and YouTube staffers to choose the questions for the Republican Primary Debates. That is like letting your opponent call your plays in a football game. It was a debate among Republican candidates discussing issues that matter to Republicans, not a bunch of Marxist yahoos sitting around a desk picking questions that made a mockery out o the Republican Party… Unbelievable. PopModal – Ann Coulter on O’Reilly: Is England’s economy collapsing? The Cycle of Marx: Why the economic policies of the Democrat Party contribute more to poverty than Free Market Capitalism? The question is, why does the economic policies and theory promoted by the Democrat Party contribute more to increased poverty rates even though they claim their proposal’s intentions are to the contrary? My conclusion, after examining the facts, is that there is a correlation between the size of government and the increase in poverty levels. Here is a summary of my logic stream I call “The Cycle of Marx,” which is: The bigger the Government the more it costs; thus the more it prints, borrows and taxes; thus the decrease in the value of the dollar; thus an increase in inflation; thus the increase in poverty; thus the shrinkage of the tax-base; thus the more dependency on big government; thus the need for bigger government… and the Cycle of Marx repeats. We all know that the Republicans advocate for smaller, less intrusive, less expensive government, while the opposite is true for Democrats. This is why I use the term Big Government throughout this article. We all know that Big Government gets its operating capital through taxation of both business and individuals (the producers of wealth) in the private sector. And we all know that when taxation is not enough, Big Government makes up the difference by borrowing and/or printing money. We all know that when Big Government raises taxes on businesses this additional expense is passed through to consumers in the form of higher prices, which means less people can afford to purchase its products and services. This is called double taxation and is a root cause of monetary inflation and resulting poverty. If small business want to compete they will have to cut down on other expenses such as salaries, hiring new employees or future capital investments, marketing or advertising, not to mention cutting corners, compromising quality and public safety. These taxes are anti-growth and anti-competitive Big Government policies. We all know that small businesses would rather use the money Big Government takes to expand their markets or develop new products. This is how jobs are created, and this is how the tax-base is expanded. The net effect of an expanded tax-base is an increase in income tax revenue to the U.S. Treasury. Our politicians should be doing everything in their power to enable small businesses to grow and compete. Their campaign promises should be about bringing jobs back to their districts not federal stimulus money. We all know the value of the dollar is negatively affected by the increase in printing, borrowing and taxation by Big Government. The more money Big Government prints means there is more money in circulation, which means the less value it has. The more money Big Government borrows the less there is for the private sector therefore creating an increase in demand for loans which always causes interest rates to rise. The more money Big Government takes out of the economy by taxation the less money there is to spend on consumer goods or new homes or invest in a new business. All of this contributes to the lower value of the dollar, which is a primary cause of inflation that results in the high cost of food and fuel, and a resulting increase in poverty. Therefore, inflation is a measure of higher prices caused mostly by Big Government intervention and to a lesser extent, natural causes such as drought and supply interruptions. We all know that prices are set by the Free Market, which is controlled by millions of consumers making billions of transactions every day and not by greedy CEO’s. We all know that Democrats would like to set prices and plan our economy so they can construct their utopian fantasy for what they think is in our best interests. Now this brings me to a question that compares the two competing institutions that affect our economy, private business and Big Government. What is the difference between positive greed and negative greed? What is the difference between greedy big government politicians and greedy CEO’s? The primary purpose of the politician is to get reelected. They do not create wealth. They go to extraordinary measures to look for ways of taking wealth from the successful and redistributing it to people who are not, to buy their votes. CEO’s are owners of bakeries, coffee shops and gas stations and they go to extraordinary measures to find ways to get people to buy their product. They create wealth. Which one uses positive greed and which one uses negative greed? We all know that poverty is measured, and the poverty threshold is set by the affordability of food and fuel and other necessities in relation to individual income. (note: the poverty rate, currently at 14.3%, has increased every year since the Big Government Democrats took control of Congress in 2008 and has a direct correlation to the size of government. A family of 3 that earns less than $18,310 is considered to be living in poverty. (This income is impossible to sustain the most meager of budgets in large metropolitan areas such as Los Angeles and New York). We can conclude that the bigger the government becomes, the poorer Americans become. To further support our conclusion, it is a fact that the poorer Americans become, the more they become dependent on big government. It is also a fact that the more people that become dependent on Big Government, the bigger the government must become in order to service those dependents, and the ‘Cycle of Marx’ starts again. The consequence of the support these groups give to Big Government Democrats is that Big Government is rationalized as a counterpart to, and therefore competitor of, American business. But it is, ironically, American business that can free the poor and un-established from dependency and set them on the road to financial independence, by giving them jobs. This is the pretzel logic of the Democrat. This is how they survive. Even with the historical knowledge that they cannot succeed, they express noble goals and institute huge programs to justify Big Government. But their success is not the same as our success. Their success is defined as a bigger government with more people dependant upon THEM. It does not matter how many people become poorer it just matters how many people become beneficiaries of Big Government handouts, like children upon their parents. So what is it that the Democrats gain? Their voter base expands as the number of capable self-reliant Americans decreases. They may win at the polls, but Americans lose in every aspect of our society. Self-serving, Big Government Democrat ‘dependency programs’ have never worked and always chip away at our liberties and freedoms and ultimately our constitution, which are the roadblocks to their success. Yet the programs never disappear, they are vigorously defended and maintained with the one principle that is the hallmark of their utopian future – hope; the hope of some future success, even as historical facts and mathematics predict future failure. When confronted with past failures of these programs and policies, Big Government Democrats are unwilling to acknowledge failed results. In fact, their only response, as of the past few years, is the demonization of anyone who challenges them. Ignore the message but kill the messenger. In the meantime, under Democratic control, not only does America become poorer and weaker, there is another destructive consequence of their self-serving Big Government policies that has become painfully apparent; our international enemies have become stronger and more emboldened to threaten us and our allies… but we will leave that debate for another day… as the ‘Cycle of Marx’ continues. But only as long as we let it.